As a small business owner, you need a bookkeeper who can go beyond the numbers and relieve the anxieties caused by problems commonly associated with a business beginning to experience growth. The last thing you want to worry about at this time is your tedious financial documentation. Working with CES will save you time, money, and headaches. We know that providing financial information to our clients in a timely and accurate manner is a commitment that cannot be compromised. Meaningful, well-organized bookkeeping services ensure that your small business will run more efficiently on a daily basis. Whether you desire a new bookkeeper who can handle unique business challenges, would like a second opinion or you need one for the first time, you can benefit from CES’s experience and well-rounded suite of business solutions. 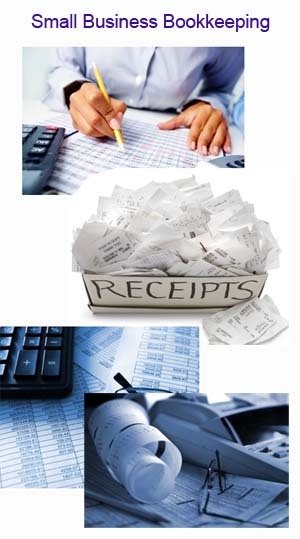 CES specializes in affordable bookkeeping for small businesses. We will record your transactions and reconcile your business accounts. CES is your Small Business Bookkeeping and Reconciliation Expert. Upon request, we will provide customize financial reports detailed in a manner congruent with your business requirements. By using our services, you’ll be able to focus on making money and not performing mundane tasks, slowing down the growth of your business. Choose a bookkeeper who understands this, and will support your business and become a team member and assist you to be successful in your endeavors. At CES we believe in the value of relationships. We view every client relationship like a partnership, and truly believe that our success is a result of your success. We are committed to providing close, personal attention to our clients. We take pride in giving you the assurance that the personal assistance you receive comes from years of advanced training, technical experience and financial acumen. Having a professional bookkeeping company can actually be affordable. You receive financial statements every month, giving you the insight you need to budget effectively. You don’t have to maintain financial spreadsheets or use complicated accounting software. There are no year-end surprises. We will work with your accountant so you can have a productive discussion about your tax situation any time of the year. Our continual investment of time and resources in state-of-the-art computer technology and extensive business relationships is indicative of our commitment to excellence. Our ultimate goal, we specialize in bookkeeping for small businesses, and individuals who don’t have the time, nor the inclination to handle their own books. No business is too small to benefit from our services. Having proper bookkeeping procedures in place from the very beginning of your business can significantly help with financial planning and expense management. Call us today to set up a Free initial consultation to find out what we can do for you and your small business or visit our Small Business Bookkeeping FAQ section to further educate yourself about our bookkeeping process.